Commercial art galleries are galleries formed with the sole intention of making profit through the sale of arts and crafts works. They generally strike a deal directly with artists often as their sole representation, on the understanding that they promote the artists, in some cases acting as their agents. The amount of influence an art gallery has over an artist varies, with some accounts of artists 'painting to order' to suit a market, whilst other artists are relatively free to do as they wish. Art galleries take often as much as 30% commission from an artist, indicating to what extent the artist is indebted to the gallery owner(s). This arguably can hinder the creative process, and many artists prefer to represent themselves. However, art gallery space does not come cheap, and whilst some venues will not a charge a commission for artists works the rent may be over £1,000 per week. The difficult economics involved in being an artist mean that for many, representation by an art gallery is the surest way of ensuring development and financial security. Some art galleries will pay well known artists purely for staying on their books. Most galleries take great pride in sourcing artists that they can develop over time and which reflect the 'house style' of the gallery. In this sense the art gallery, much like the curator, is today seen as having as much of a role as the artist in determining the current (and future) shape of the art scene. Independent art galleries vary greatly in size and in the nature of their art collections, with some dealing with the 'big hitters' (i.e. the Marlborough Gallery, London) such as Lucian Freud, Frank Auerbach and Francis Bacon and others dealing with artwork by relative unknowns. Who you deal with will depend on your budget and the type of work you wish to buy. It is worth doing some research and spending some time looking around art galleries in your area before firmly approaching any of them. Commercial galleries tend to be more formal than independent art galleries and taking a formal approach to them will do you no harm when collecting art. On the whole, art galleries will be friendly and helpful, but remember, they are businesses and not public galleries with state funding/sponsorship. Many of these galleries will be staffed by just one or two persons who, due to time pressures, may be happiest to help if they feel that you have something to offer them. However, the 'hard sell' rarely ever goes down well in the art-world, and once trusted contacts are made further meetings can be pursued in which your needs and preferences in collecting art can be better discussed. 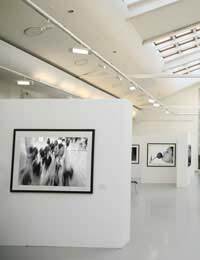 The key is to approach a gallery fully confident of what you have to offer them (that is, potential sales for them) and an open minded attitude. It is unlikely that big sales will be made in the blink of an eye, and it is perhaps more important to build relationships over time. This way it is possible to ensure for the future and guarantee preferential treatment as your art collection begins to take a definitive form. Developing these contacts will also make it easier to sell art on, thus enabling you to free up capital from time to time, in order to rearrange your art collection. The art world is relatively small and for this reason commercial gallery contacts can prove invaluable whether you are wishing to buy into a new market when art collecting, or needing to sell fast. This article is very outdated - Galleries normally take between 45 - 70% from Artists - I would encourgae collectors to always speak with the artist's directly if they are alive to discuss works. Artists are becoming better business people due to the presures of the market place. In this economy Galleries rarely retain artists or contract them. please buy my late father's rare art work chek my facebook profile take care LOK NATH VERMA.